We were the first ones in that evening, and for 20 minutes, we had the entire restaurant to ourselves – how luxurious to enjoy this kind of intimacy! 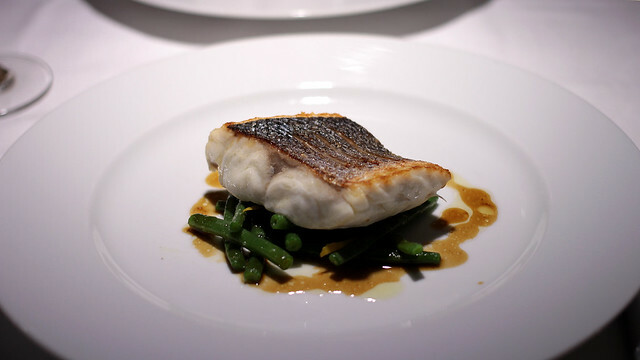 As the restaurant proposes single menu dining, the only decision we needed to make was to either order the 4-course or the 5-course experience, at €52 and €65 respectively, for our fish-centric dinner. (No price for guessing which we went for.) F didn’t even had much say on the wine, as there was only one option for the white wine by the glass, at €8. There were a couple of starters to our meal. 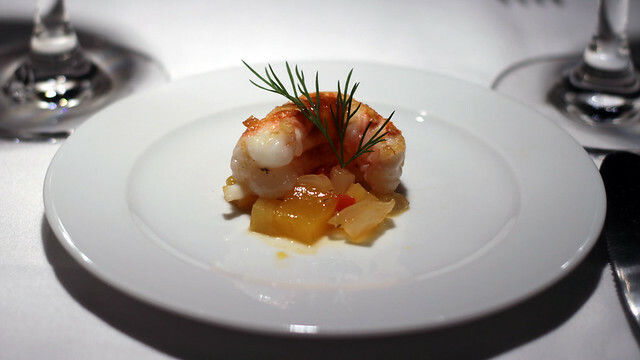 We were first served a truly succulent and perfectly cooked langoustine with some fruit chutney, and I lamented how quickly the bite disappeared from our plates, never mind that I have shellfish sensitivity and should only eat langoustine in very small doses. 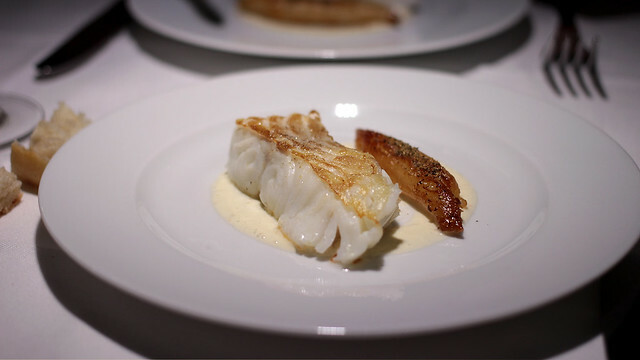 I was delighted when the subsequent plate came along with a pair of scallops on a shallow bed of topinambour purée and topped with foam. They, too, got eaten far too easily, and I could definitely do with another couple more. I sighed with happiness. 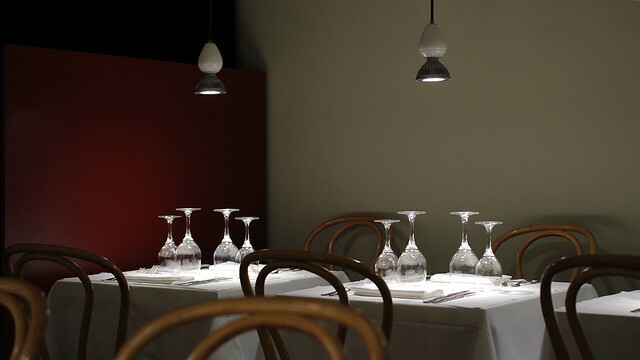 While we ate, the dining room was gradually being filled and soon, only a sole table for two remained unoccupied. 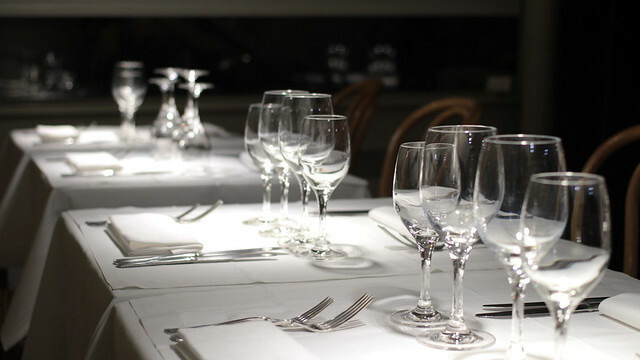 The atmosphere was largely convivial, and a table of fellow diners were certainly quite merry and did not mind who they are sharing their stories with. 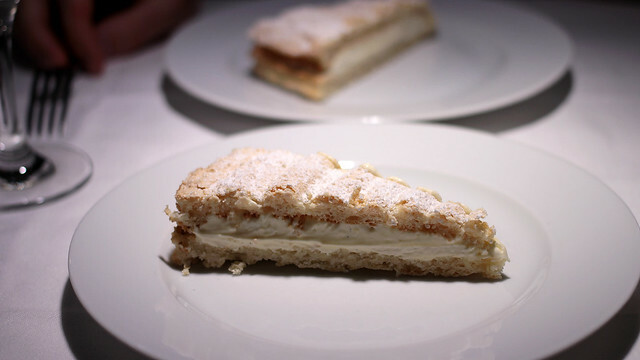 Too soon, we were served with a vanilla dacquoise to end our meal. 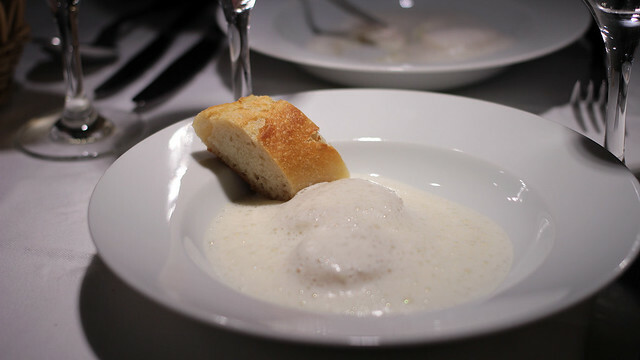 It was crisp and creamy at the same time, a delight to eat, for it was also full of the vanilla goodness. Rather amusingly, I felt like I just had a meal where bright colours seem to have mostly gone in hiding, for fear of clashing with the shades of white. what were the sauces served with the dishes (i.e mains))? Gosh… I couldn’t remember for the first, and the second was a sweet soy reduction with lemon.